Q. Does the Academy provide financial aid? Q. Is Federal Financial Aid available to NYFA students? Q. Can I earn a Bachelor's degree through the New York Film Academy? Q. Are there any degrees offered directly by the New York Film Academy? A. Yes! NYFA confers Master of Fine Arts, Masters of Arts, Bachelor of Fine Arts, Bachelor of Arts, and Associate of Fine Arts degrees in a variety of visual and performing arts subjects, including Filmmaking, Acting for Film, and more. For more information on degrees offered at the NYFA Los Angeles and NYFA South Beach campuses, please visit www.nyfa.edu/degrees. Q. Why should I attend one of your one or two-year programs or short-term workshops? A. Whether or not you choose to pursue a career in the film industry, the programs or workshops at the New York Film Academy are an unparalleled creative experience that will broaden your horizons and enhance your future endeavors. Q. If I take a short-term workshop and find that I want to go further with the training, can I transfer to a one or two-year program? A. Yes. Students who complete the short-term workshops can transfer to the one or two-year programs and are eligible to receive a tuition credit toward the longer program. Q. I have no film experience. Is a program or workshop for me? A. Yes, the Academy's offerings are designed to introduce individuals with little or no filmmaking experience to the medium, and to reinforce the aspects of good filmmaking for those with prior experience or training. Q. How hands-on is the training at the New York Film Academy? A. Extremely. All classes at the New York Film Academy are designed to be of immediate and practical use. 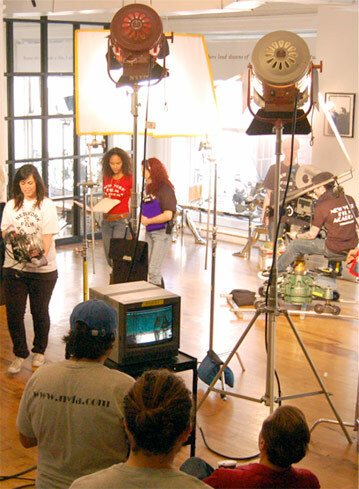 Students shoot film in camera, lighting, and production classes, are on-camera in their first acting classes, and develop story ideas in their first screenwriting classes. Q. How do I know which program or workshop is right for me? A. The New York Film Academy has qualified, trained Student Advisors available with whom you can discuss your career goals and the offerings at NYFA. Q. Do students edit their films on digital editing systems? A. Students enrolled in all the NYFA's filmmaking and digital programs or workshops will edit digitally using digital editing software. Q. How much access will I have to equipment? A. With Arriflex 16mm S and SR cameras, Panasonic DXV and HVX cameras, Panavision 35mm, Red Dragon, Red Epic and Red Scarlet Cameras, the New York Film Academy maintains the best ratio of equipment to students of any film school in the world. Depending on the program, students check out their camera and lighting packages on a daily basis, for weekend shoots, or for one and two weeks on longer productions. The editing lab is open with expansive hours at all Film Academy locations. Q. Where will I live during the course? A. The Film Academy has Housing Coordinators at its academic-year locations in New York City and Los Angeles that can introduce you to safe, convenient, and affordable accommodations. In our summer branch locations, such as Harvard, Disney, Paris, and Florence, dormitory and residential hotel housing is available. You must book as early as possible to secure accommodations within your budget. Q. Are International students eligible for grant consideration? A. Yes. International students are eligible for the Need Based Tuition Discount and should download and follow the instructions within the grant available in the Financial Aid section of nyfa.edu. Q. Do I own the creative work I make at the NYFA (films, scripts, animation, games, etc)? A. Students are the sole owners of all the projects they create during their studies at the Academy. However, the Film Academy reserves the right to use copies of student work for promotional purposes. Q. What is the admissions policy at the NYFA? A. There is an open rolling admissions policy for our certificate programs or workshops. You may apply online, download, or request that an application be mailed to you. Applications are accepted throughout the year until the programs or workshops are filled. We recommend early application to guarantee a place in your workshop of choice. For short-term workshops and one or two year certificate programs a student must at least be a high school graduate and provide a transcript by start date of the program. Our degree programs (MFA, BFA and AFA) require students to complete additional application materials, which may include letters of recommendation and a creative submission. MFA applicants must possess a bachelor's degree by the start of the program. AFA students must be high school graduates by the start of the program. Q. Is college credit available? A. College credit is available. 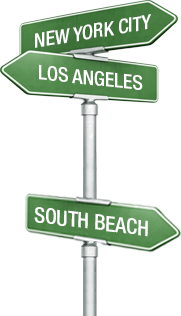 Transcripts and college credits are processed and issued solely by the New York Film Academy, Los Angeles campus and the New York Film Academy, South Beach Florida campus. You may refer to the credit table for the number of credits awarded and to the conditions for the award of credit. The New York Film Academy makes no representation that credits awarded by the New York Film Academy will be accepted or applied toward the completion of any degree or certificate by any other post-secondary institution except as explicitly stated on this website. The acceptance of transfer credits is always governed by the receiving school. In addition, The New York State Board of Regents' National College Credit Recommendation Service (NCCRS) Program, recommends many New York Film Academy non-degree programs and workshops for college credit to over 1500 participating colleges and universities (nationalccrs.org). Please note, the acceptance of recommended credits is determined by the receiving school. Q. How do I transfer credit to another school? A. Upon completion of your New York Film Academy program or workshop, you will need to request an official transcript to be sent to your school of choice. Contact the NYFA Registrar's Office in New York at 212-674-4300 or in L.A. at 818-333-3558. Every school awards transfer credit in its own way. Some credits may go toward electives, others toward your major, and some credits may not be accepted. It is recommended that you contact the transfer credit coordinator at your university of choice if you have any questions about transfer credit acceptance. Q. I am already attending university. Can I do a short-term workshop or semester off-campus at the New York Film Academy for credit back at my school? A. The New York Film Academy has had students who have successfully petitioned their university for study abroad in NYFA summer short-term workshops, academic-year programs, and semester off-campus study at NYFA locations worldwide. Consult with your academic advisor or study abroad office to see if you qualify for consideration. Q. What is an Associate of Fine Arts degree? A. The Associate of Fine Arts degree is an opportunity to train exclusively in the field of your choice as you earn a degree. The program is designed for degree seeking students who want to devote themselves to learning and practicing their profession in a hands-on conservatory style program. Students are not distracted by general studies prerequisites or traditional distribution requirements before they get the opportunity to practice their craft. Q. What is the minimum age requirement? A. While there is no age restriction, a high school diploma or the equivalent is required for the Academy's adult programs (and bachelor's degree for MFA programs). Courses are extraordinarily intensive, and demand maturity, commitment and dedication. Students need to be able to work with others and be responsible to them. In the summer there are special summer camps for high school, and youth weekend workshops available for Teens and Tweens in New York and Los Angeles. Q. Do I get a diploma at the end of the course? A. 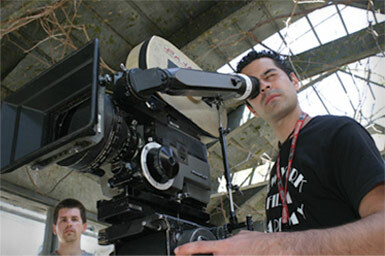 The NYFA grants a diploma upon successful completion of our programs or workshops. Q. What is the policy for international students? A. The Academy welcomes students from all points on the globe. The diverse background of the Film Academy's students creates a rich multicultural community that promotes the exchange of ideas and viewpoints. The staff is multilingual and ready to assist overseas students wherever they attend our programs or workshops. There is a $150 International Student Fee for all adult international students applying to NYFA. Q. Does the New York Film Academy require TOEFL or IELTS testing? A. All classes at the New York Film Academy are conducted in English. While testing may not be required, a conversational level of English is the minimum level for admission to the Academy. The better your English language proficiency, the better your prospects for success in NYFA programs and workshops will be. Q. What if I need to improve my English language proficiency? A. The ESL School at NYFA provides high-quality language instruction in a creative arts setting to help international students improve their English language abilities, with programs available in Los Angeles and New York City. Q. What is the average class day like? A. Students should expect to be busy five to six days a week in class, depending on the program or workshop. Classes typically take place between the hours of 9:30 am and 7:00 pm, though they are not limited to these hours. Classroom instruction hours range from 20-30 hours per week, with the equivalent number of hours needed each week to complete student work. Hours spent outside of the classroom may include pre-production tasks, shooting, writing, rehearsing, location scouting, or casting in our film-related programs and workshops. Q. May I sit in on a class? A. Yes. Our information offices are open Monday through Saturday from 10am - 6pm. Call the office in New York at 212-674-4300 or in L.A. at 818-333-3558 and we will be happy to arrange for you to sit in on a class. Q. Can I contact a former student? A. We have many former students who will relate their experience at the Academy. Contact our admissions office by phone, fax or email. Q. Do you have campus visits available? A. Yes. You can arrange to visit the New York Film Academy's facilities. Call the office in New York at 212-674-4300, in L.A. at 818-333-3558 or in Miami at 305-534-6009 to arrange a mutually convenient time. Q. Do you have Open Houses? A. Monthly Open Houses are conducted in New York and Los Angeles. We also hold periodic information sessions in cities across the United States and in Europe and the Middle East. Click on the Open House tab for more detailed information, dates, and locations.